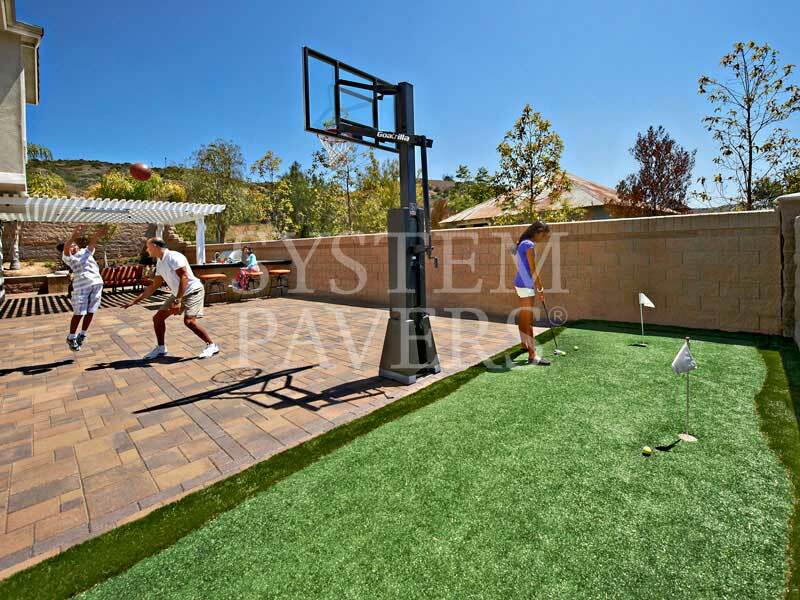 What is System Pavers Synthetic Turf? 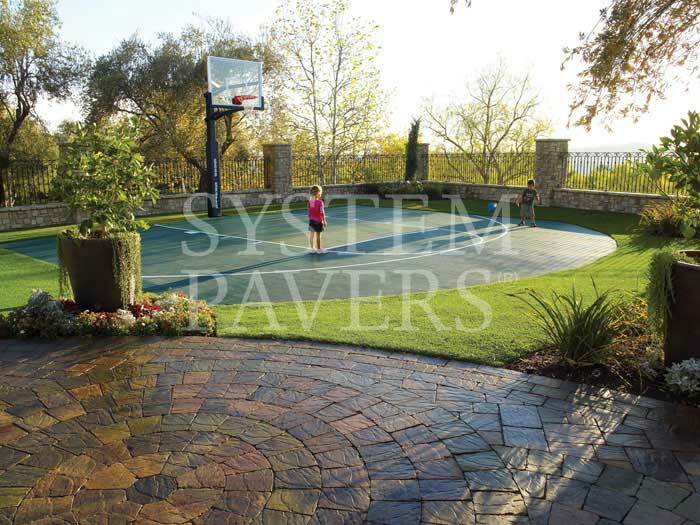 System Pavers SP Turf redefines the standard for synthetic grass. 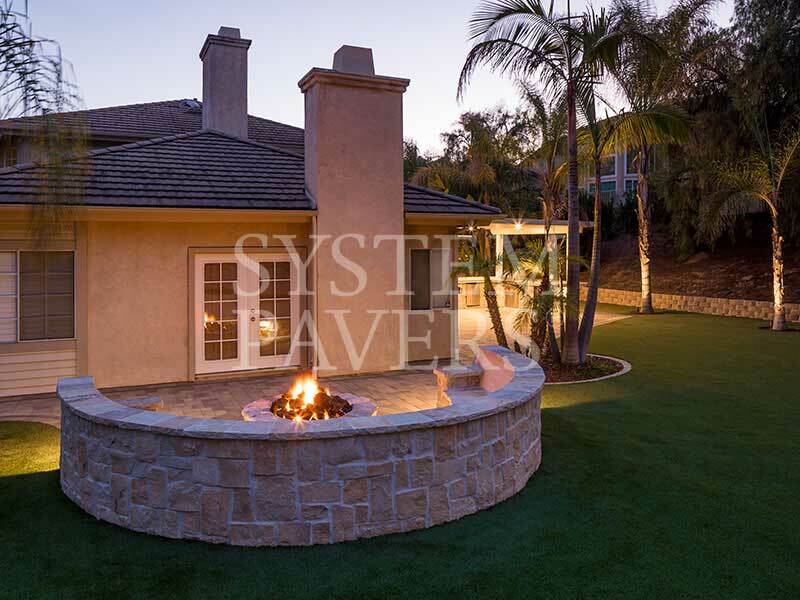 Our residential turf is an eco-friendly and maintenance-free alternative to traditional grass that looks and feels just like the real thing. It’s also designed to last for years by preventing fading and discoloration as well as water buildup and bacteria growth. 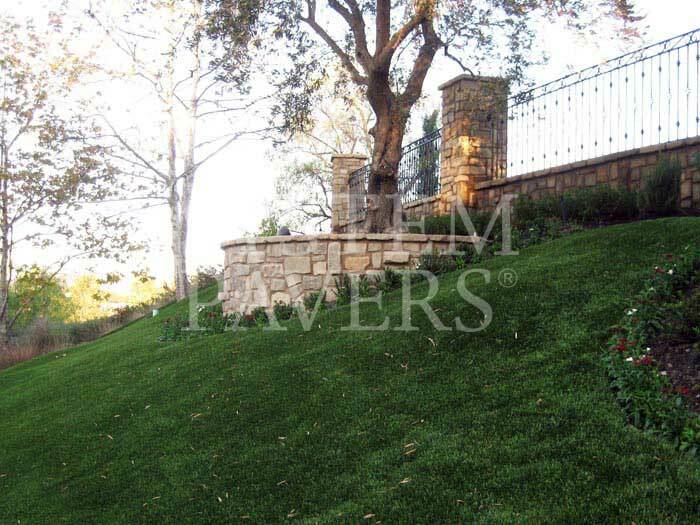 Thanks to artificial lawn turf, you can have lush green grass no matter the weather or season, and you don’t ever have to worry about landscaping. 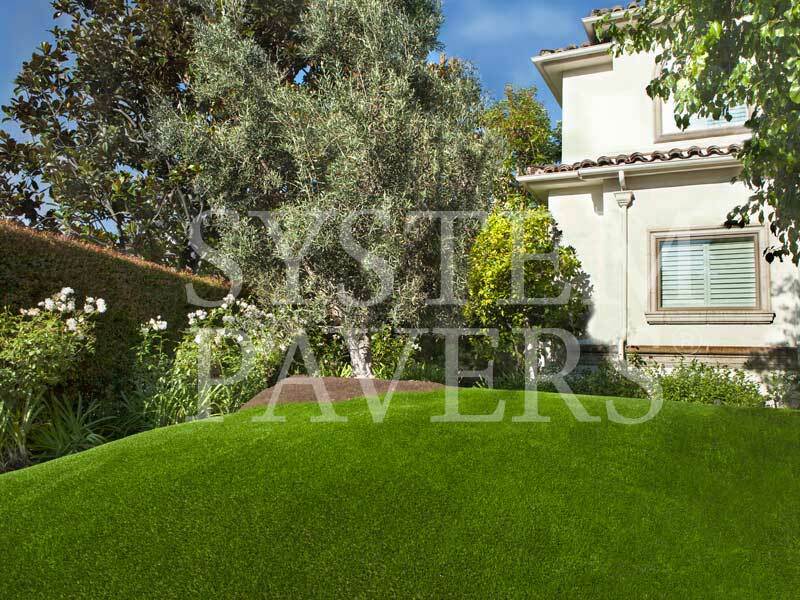 Our residential turf is not only unbelievably realistic but also durable enough for dogs to play in and soft enough for babies to crawl through. 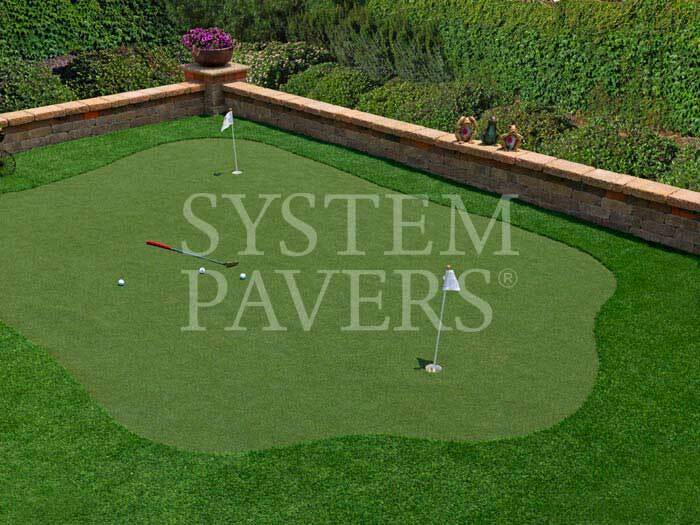 Our performance turf will keep the golf and sports lovers in your home putting and playing all year long. Nothing beats fresh and pristine artificial turf for a fun-filled day of putting practice with the kids. 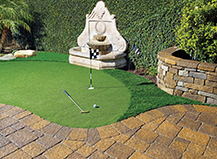 SP Turf® is made from top-quality yarns and features an advanced UV coating to prevent fading and discoloration. It is also toxin-free and anti-microbial, making it safe for pets and children. 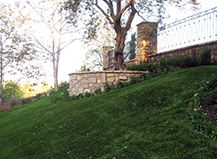 Our residential turf is extremely low-maintenance and will always look healthy and manicured without the need for much upkeep. 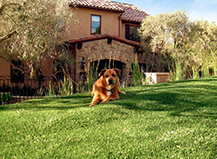 Plus, SP Turf® does not absorb animal waste or allow water to pool, ensuring cleanup is always quick and easy. 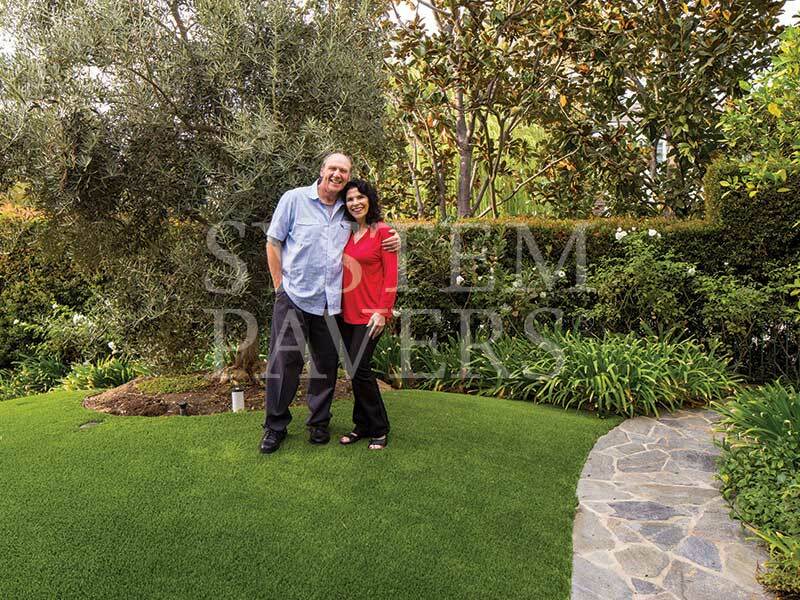 Once your SP Turf® installation is complete, you won’t have to spend money on landscaping services or lawn-maintenance products anymore, as an artificial lawn turf is naturally green without the need for expensive upkeep, chemicals, or pesticides. 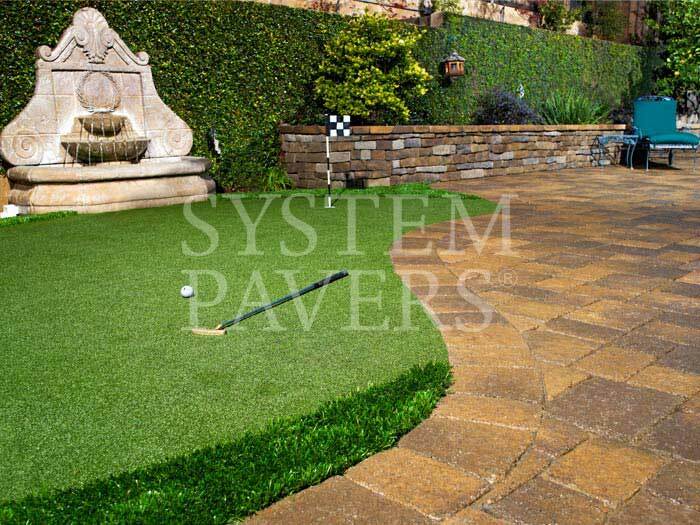 System Pavers offers custom artificial turf installation, so your turf lawn or putting green can be designed and installed exactly how you want. 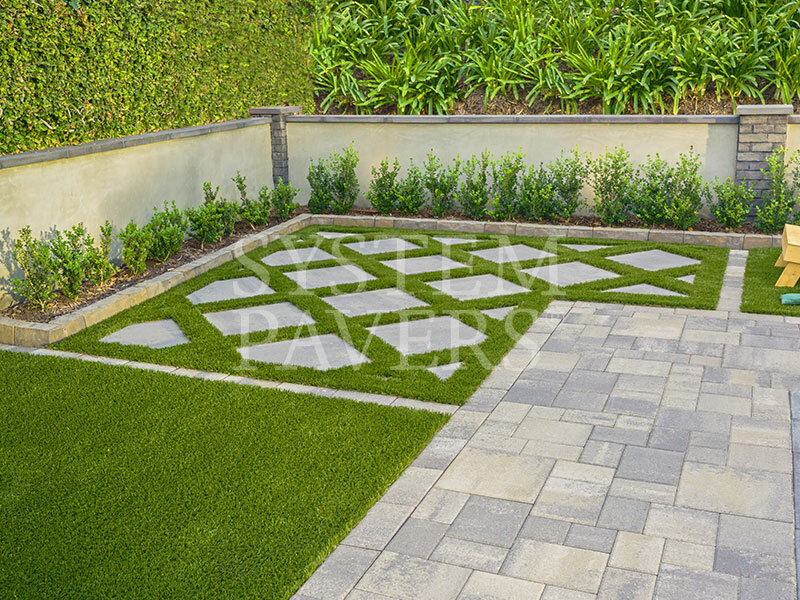 Our artificial grass is also available in a wide variety of color blends, blade lengths, and styles, allowing you to create your dream lawn to enjoy every day of the year. 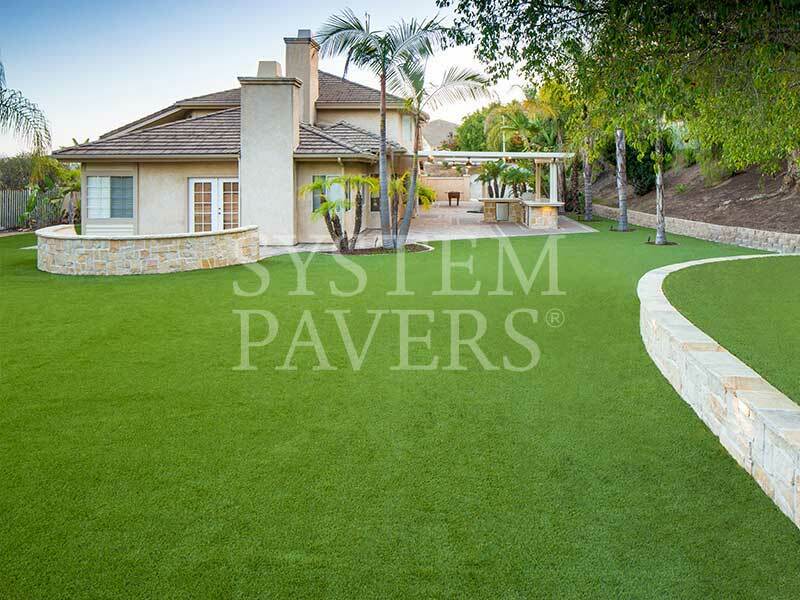 With the perfect balance of innovation and design, System Pavers redefines the standard for synthetic turf installation with our exclusive line of SP Turf®. 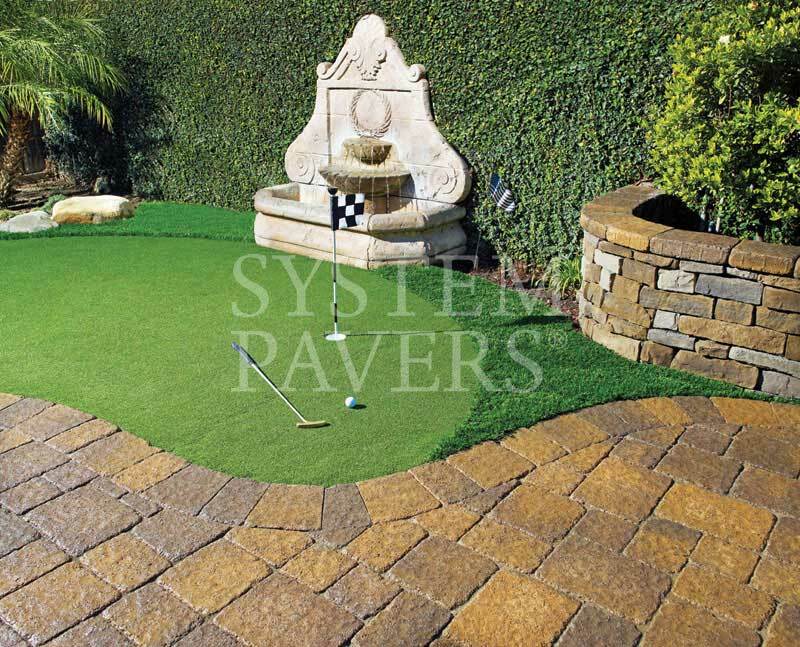 Offering a variety of color blends, blade length, and style, you can achieve the pristine putting green or forever-green grass you’ll be sure to enjoy for years to come. 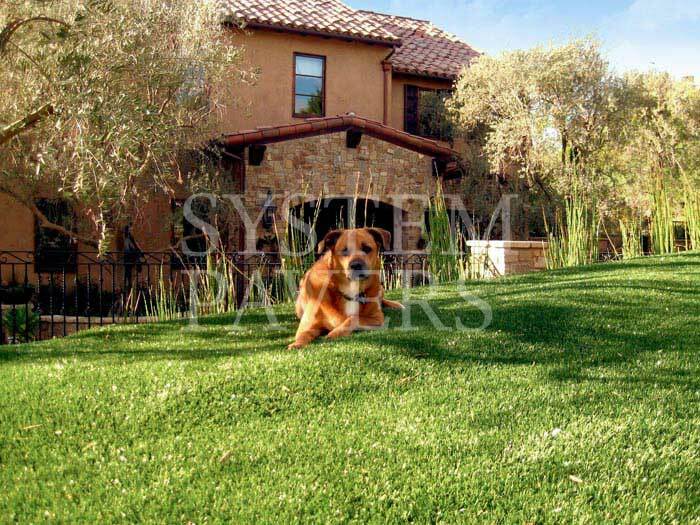 Durable enough for your dog’s daily run, yet gentle enough for a child to crawl through, our high-quality fibers won’t let these special moments compromise the look of your lawn. 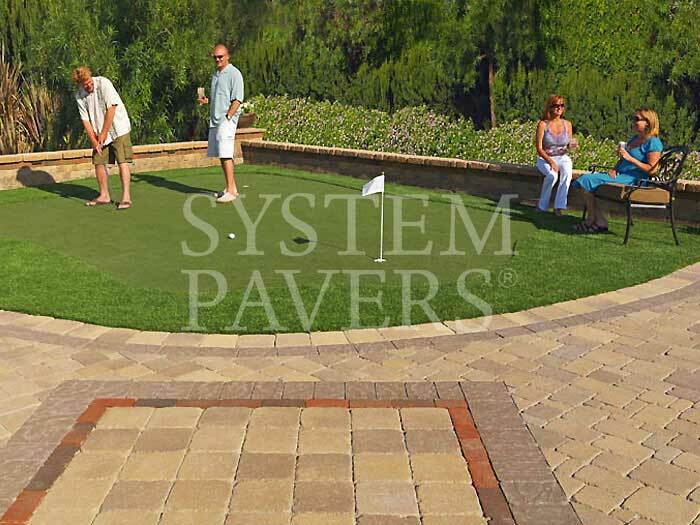 Enjoy the vibrant colors that SP Turf® allows you to revel in every day. 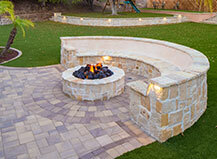 No more worries of burn spots or dormant times of year. 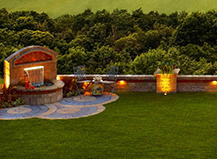 Experience the lush green landscapes SP Turf® provides year-round. Hear some of the many benefits and advantages of installing SP Turf® in your yard. 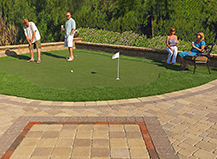 Enjoy the vibrant colors that SP Turf® allows you to enjoy every day. No more worries of burn spots or dormant times of year. Experience the lush green landscapes SP Turf® provides year round. If you live in California then you may qualify for HERO financing. The Home Energy Renovation Opportunity (HERO) program is a government-sponsored energy efficiency financing solution. HERO is unique in that it provides financing for approved energy efficient, water efficient, and renewable energy products. HERO finances 100% of the cost to purchase and install eligible products, and it offers low-fixed interest rates and flexible payment terms for most products. HERO Financing is available for a wide array of home energy and water efficient products and renewable energy systems, including SP Turf. 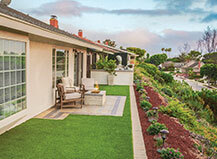 You could be eligible for reimbursement of artificial grass costs. For more information and to see if HERO is available in your city, please visit www.heroprogram.com. 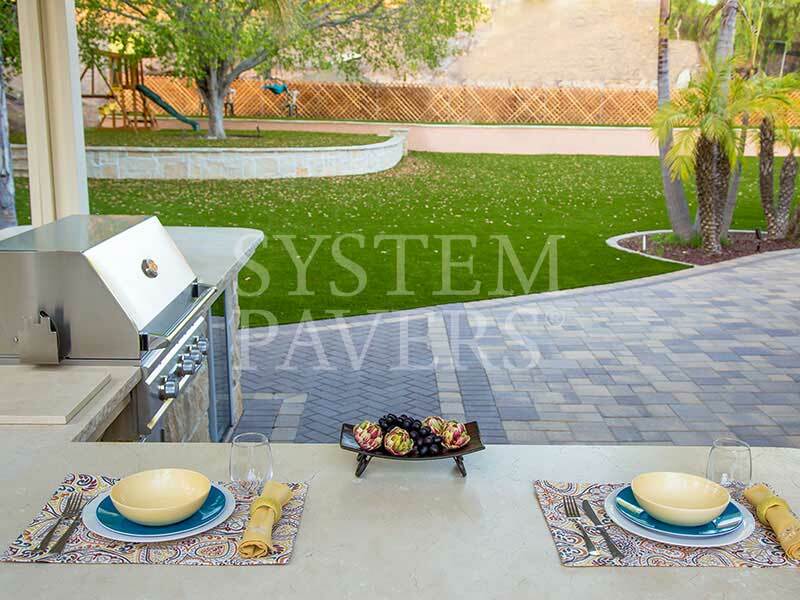 At System Pavers, we design and build elegant outdoor living spaces around you. 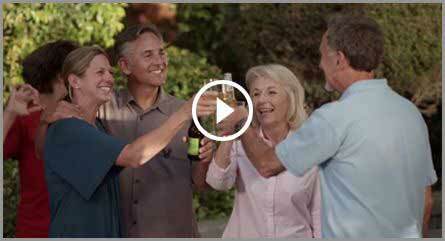 Check out our new commercial. 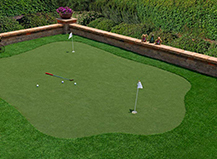 Keep your putting green in pristine playing condition all year long with artificial turf. Take a look at some of the putting greens we’ve installed. 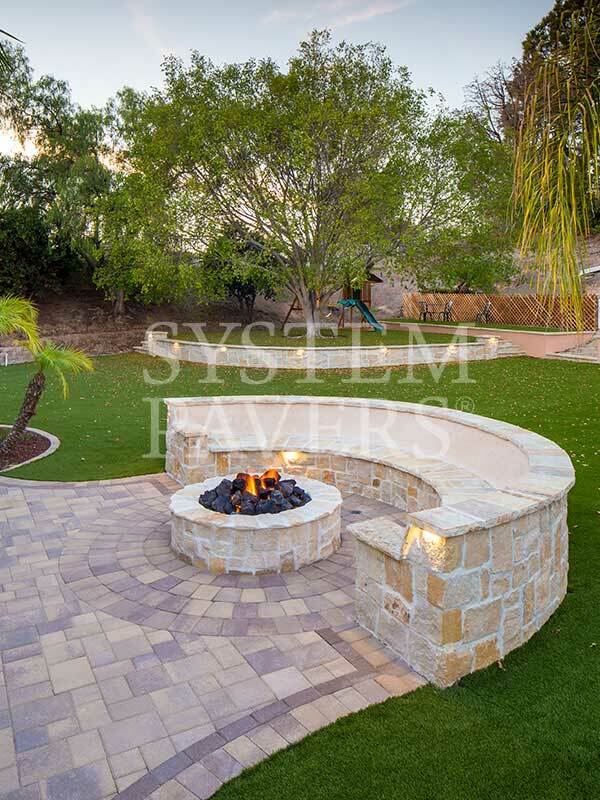 Create a backyard that will stand up to your pets and kids while offering a beautiful and luscious appearance. 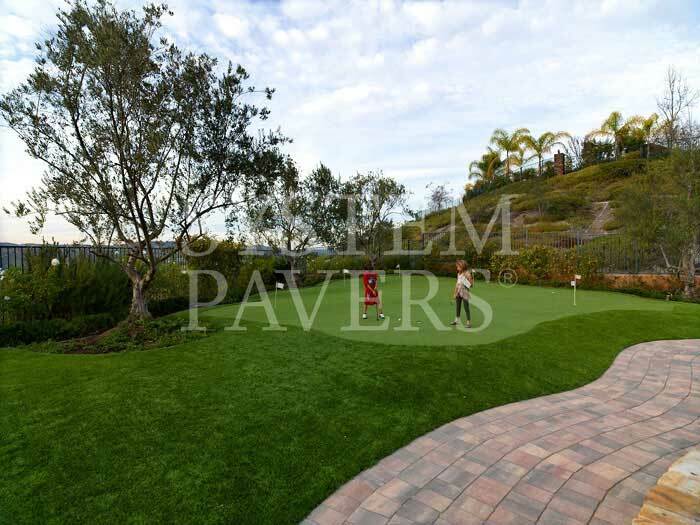 Get inspired by our previous turf designs. Have questions? This is a short list of our most frequently asked questions. 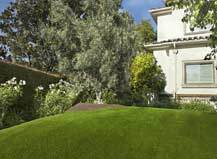 Why choose synthetic turf for my lawn? It is perfectly okay to have synthetic turf questions. 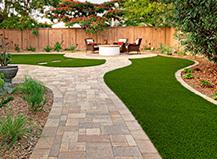 We are here to tell you that an artificial turf lawn, done right, will give you healthy looking, green grass without the costly and tiresome maintenance of landscaping upkeep. So say goodbye to water, mowing, fading, edging, fertilizing, chemicals, pet damage***, pests, allergies and muddy paw prints… not to mention, it’s eco-friendly, helping you save on water. Note: It is recommended to routinely use pet friendly, cleaning products to alleviate odors on your SP Turf. Veterinarians and pet supply stores sell enzymes that break down particularly potent pet messes (check to ensure products are non-toxic, pet friendly and biodegradable). What is SP Turf ®, exactly? SP Turf ® is a blend of polyethylene monofilament and thatch and acrylic coated antimicrobial infill. SP Turf ® will provide years of grass-like appearance and use, without the regular maintenance of natural grass. 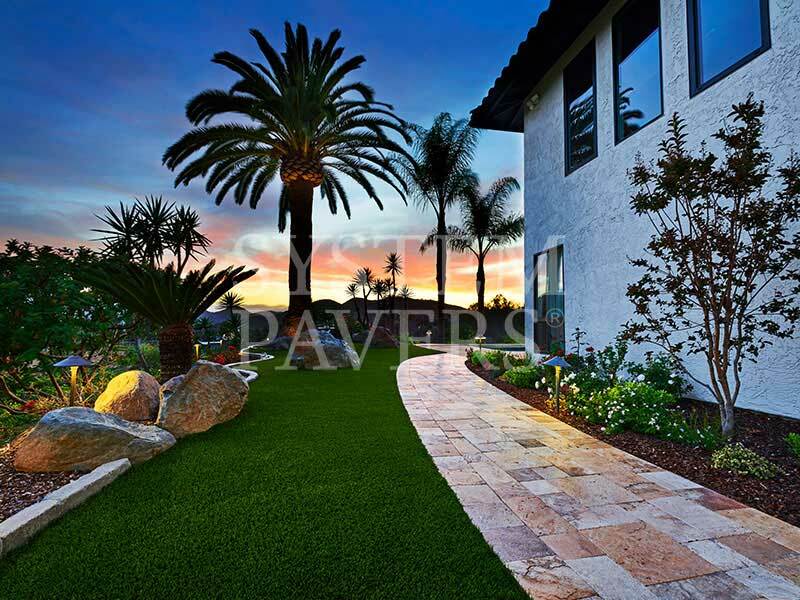 The installation process includes a layer of compacted road base (just like our pavers), our polyethylene monofilament and thatch blades and our infill system. 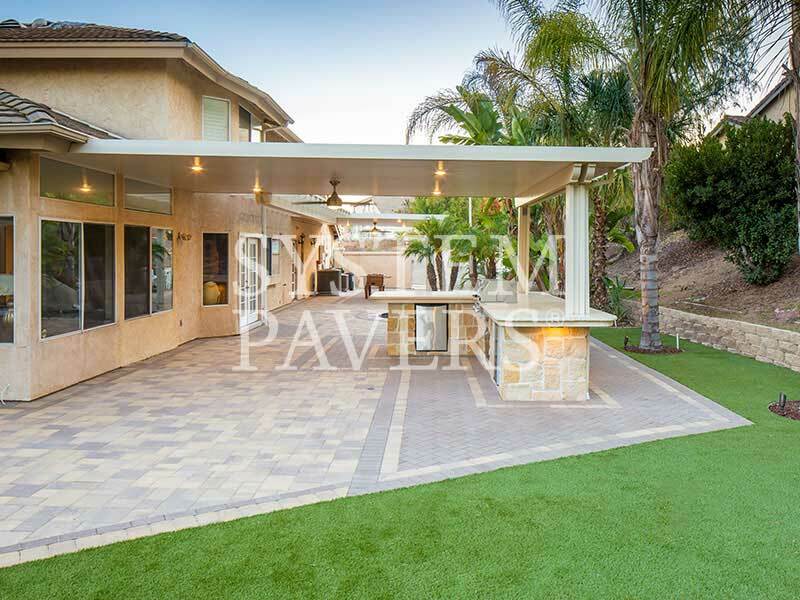 And, because the installation process if virtually identical to the paver installation system, your turf and pavers can be installed in the same job. 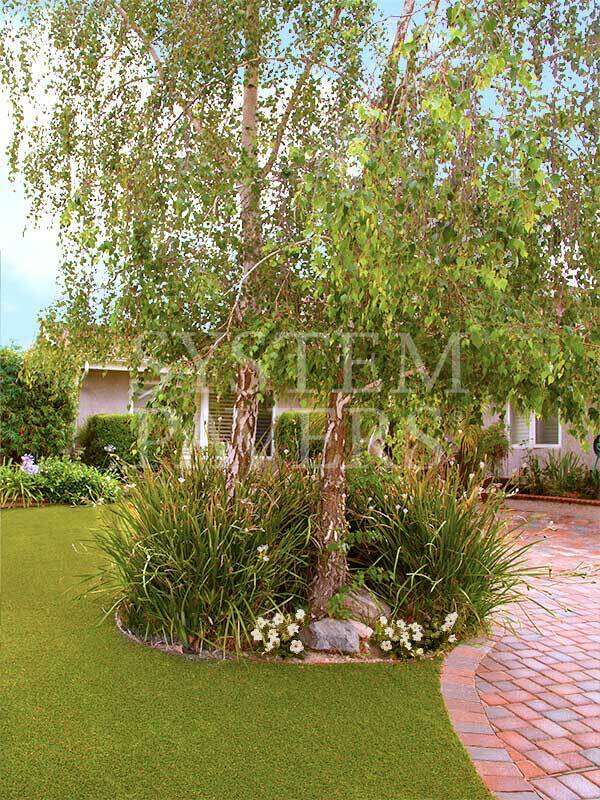 Can I get a rebate on my water bill for having synthetic turf? Check with your water district for more information, but most Sothern California residents are eligible for water rebates if they have synthetic turf installed. What makes SP Turf different than other synthetic turfs? 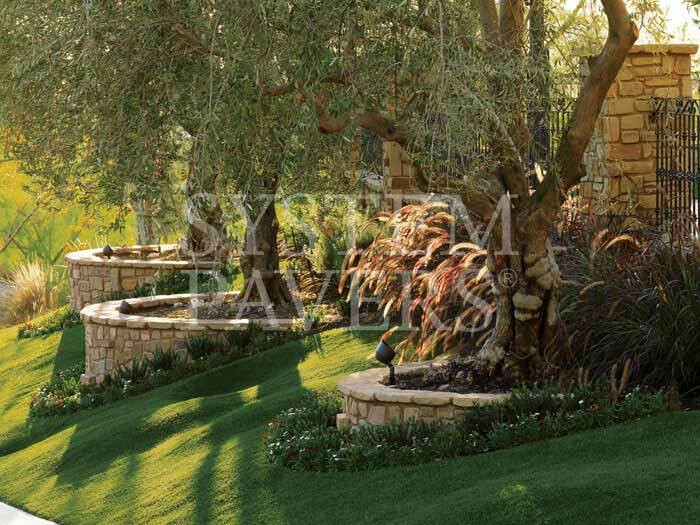 Unlike many other synthetic turf products, SP Turf ® offers the highest quality and safest product on the market. Not only is our turf lead free, but our infill system is made of top grade, antimicrobial infill that prevents bacteria and germs from incubating in your lawn. While other turf products use a combination of rubber and infill that can harbor dangerous bacteria. Additionally, our suppliers offer the best warranty in the industry with a 15 year limited warranty*. There are several companies selling synthetic turf. 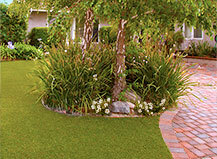 Why should I choose SP Turf ®? SP Turf ® is one of the best and safest turf products on the market and offers with a limited 15 year manufacturer warranty*. 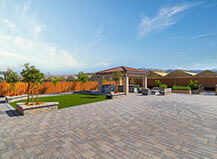 We ensure that you get the same quality of product and service with our turf as you do with our pavers. 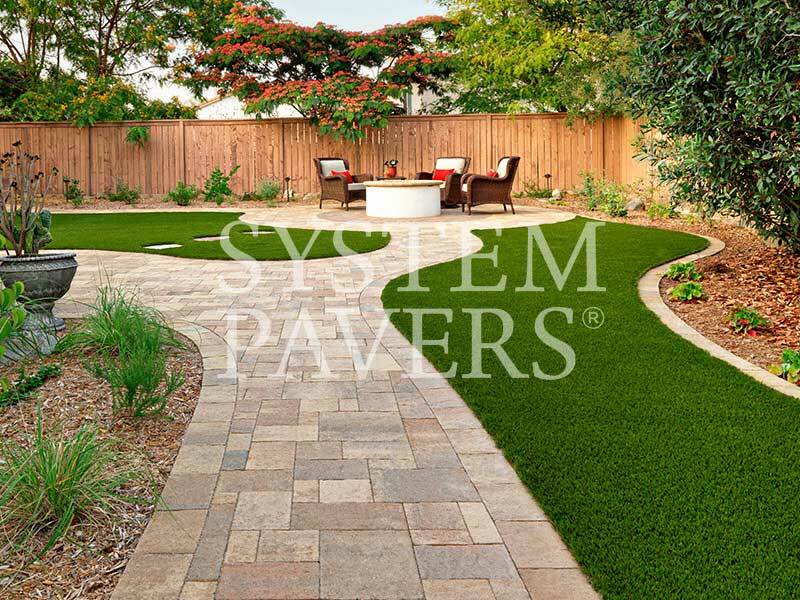 We are also one of the few turf companies that can offer you a complete outdoor living system of both hardscape products and turf, so you can use System Pavers as your one-stop shop! 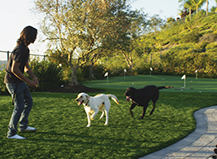 Is Artificial Grass dog and pet friendly? Put it this way…now you can have a dog AND a lawn! Liquids drain right through while droppings can be picked up as they would be with regular grass and/or washed off with a hose. Plus, dogs can’t dig through the turf, meaning those muddy paw prints on your patio and carpeting will be a thing of the past! 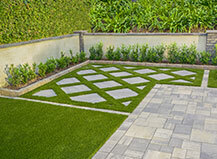 What is the square footage price of SP Turf ®? 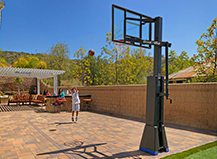 Our custom installed product cannot realistically be quoted by the square foot. 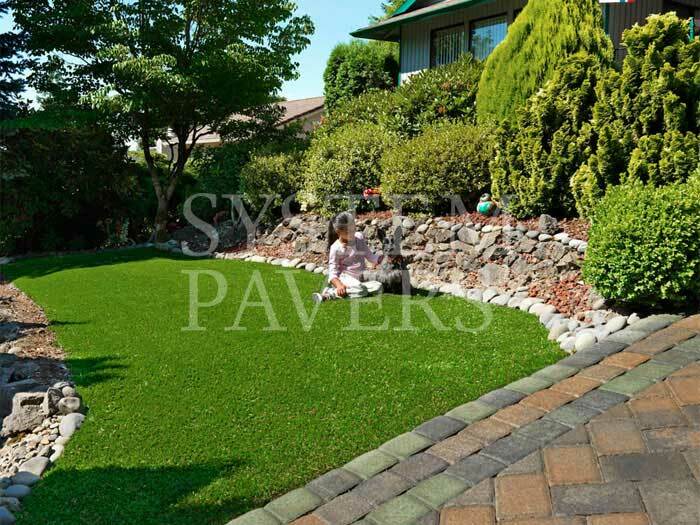 Each lawn is different and SP Turf ® prices each project individually based on turf type, required ground preparation, size, and numerous other factors. 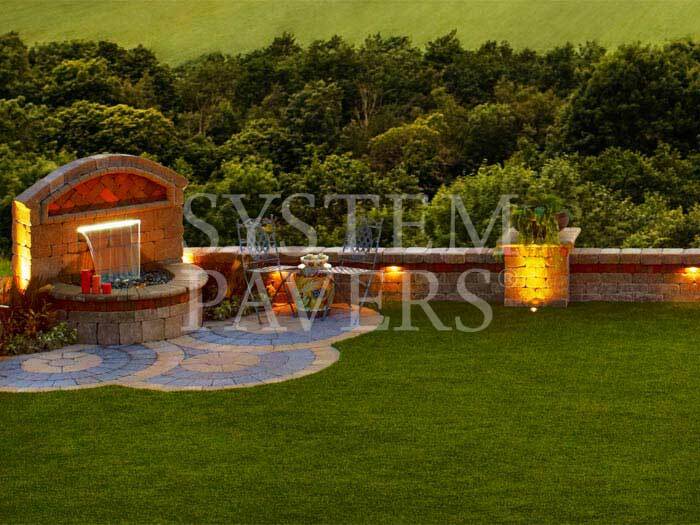 That is why System Pavers is happy to offer a FREE Design Consultation to provide exact pricing for your landscaping project. 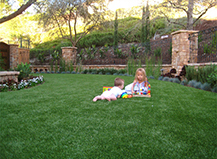 What about my kids playing on Synthetic Grass? Kids love it! SP Turf ® is softer and safer than real grass and they have loads of fun playing on it. Parents love the fact that there are no more stained pants, scraped knees or grass allergies. And, because our infill is made of antimicrobial acrylic coated infill and not ground rubber, like other turf products, it is more resistant to heat absorption than our competitor’s turf. Better than real grass! 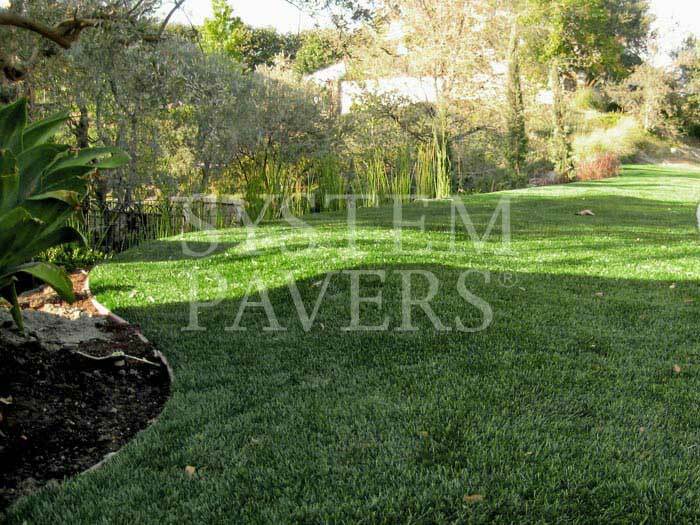 Our lawns have specially designed drainage holes placed consistently throughout the turf to ensure water sheds quickly and efficiently and does not pool on the surface. This is a great artificial grass question. Since turf of this quality is an emerging technology, we frankly do not know the exact answer. SP TURF ® is expected to have a 20-30 year life expectancy. Confident in our product, the limited 15-year warranty* guarantees it won't fade or fall apart, and it will look great for years to come! Is it important to work with a company that has a Contractor's license? When you contract to have work performed in your home, remember that to do any project that totals over $500, a company must have a valid Contractor’s License. They are required to include this number on any materials they use to market their work, on their contracts, etc. By using a licensed contractor, you are assured that they are covered by the necessary bonding, insurance and worker's compensation to protect you, the homeowner. Without a license, you become liable. 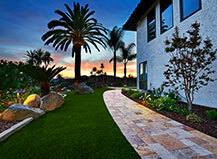 SP Turf ® is licensed and bonded. Our California Contractor’s License number is 661575, Washington’s License number is SYSTEPW908KF, and Oregon’s License number is CCB 168710. You can check on any Contractor's license status at www.cslb.ca.gov. What about Rabbits and Bugs? Say goodbye to pesky critters! SP Turf ® will eliminate any troubles you have with rabbits and bugs. Rabbits and pesky insects will no longer ruin your lawn by eating your grass. And best of all, your new lawn will be safer because you will no longer have a need for pesticides. SP Turf ® has a built-in UV protection solution that will allow it to hold its color even under the most dramatic conditions. More a matter of keeping clean than maintaining…remove organic materials from the surface, typically by using a leaf blower. Plastic rakes may be required for removing heavier objects; however, a leaf blower is the ideal tool for general upkeep. A stiff, natural bristle broom can be used to "fluff" high traffic areas. 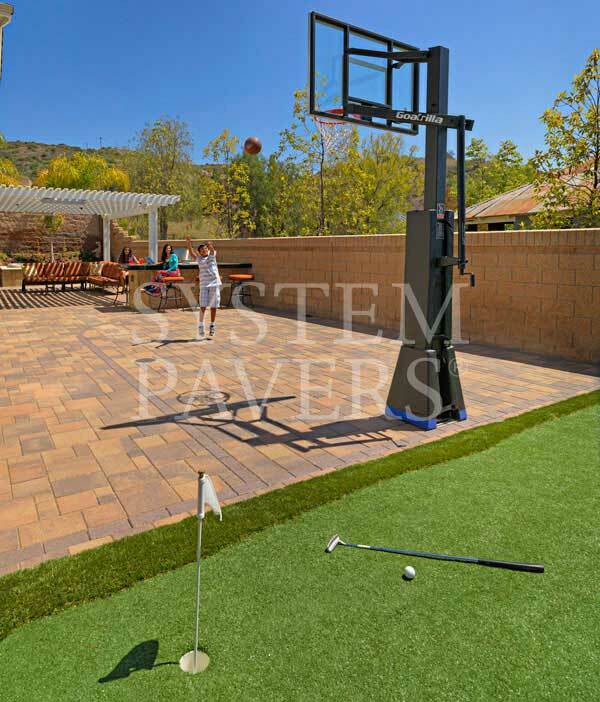 Does System Pavers offer financing on SP Turf ®? 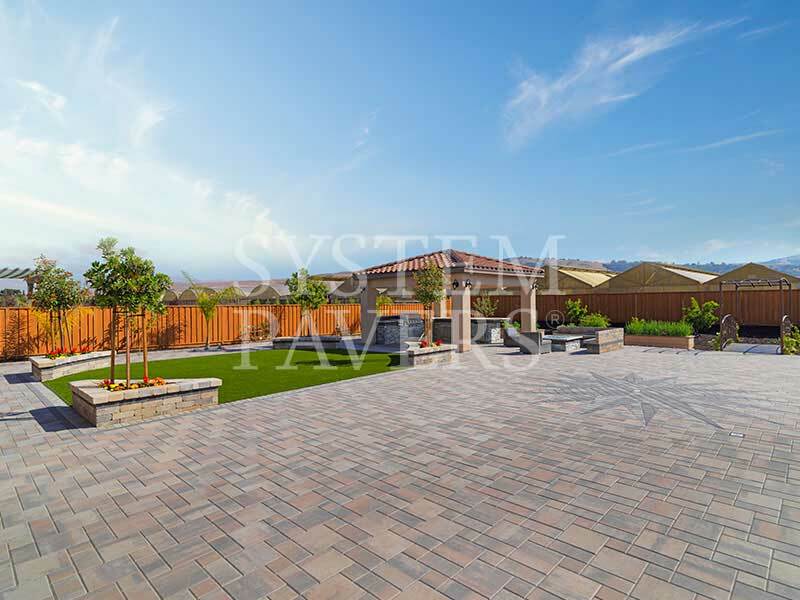 System Pavers offers a variety of financing options to fit your budget including a deferred payment plan! Click here to see financing options. 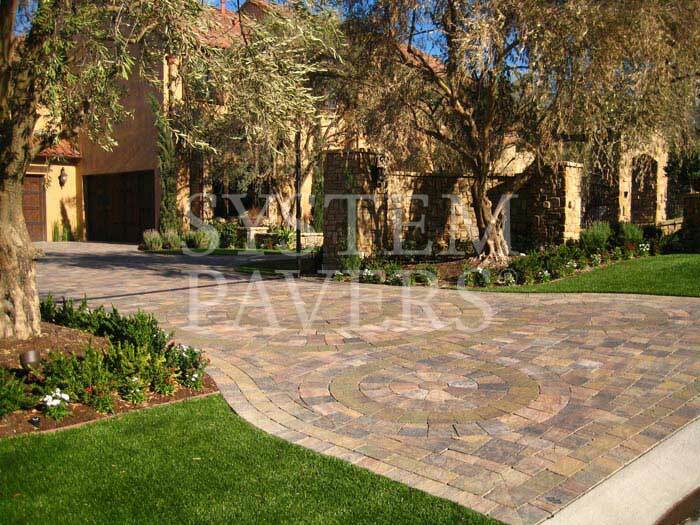 System Pavers offers a 10-year warranty from the date of completed installation against defects in materials, including ultra-violet degradation and excessive fading. Weeds cannot grow through the tough turf backing. On rare occasions, you may see some popping up along a border. No worries…simply spray some Round-Up™ on them and they’re history! 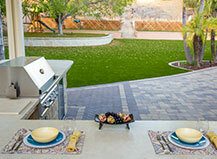 An average landscaping area might take two to three days. 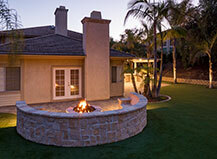 Each installation is customized, so it is sometimes hard to determine this without a site visit. For a better idea, call for a FREE Design Consultation today! Will the infill harm my children or pets? Our infill is non-toxic and antimicrobial and will in no way harm either children or pets***, if swallowed. Our infill is one of the only products that will prevent bacteria and germs from incubating in your turf. Not a chance…the turf is fire-retardant and anti-flammable. 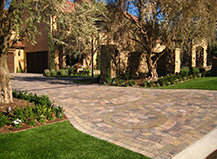 It’s the ideal landscaping choice for any homeowner living in a drought area that could be susceptible to brush fire activity. 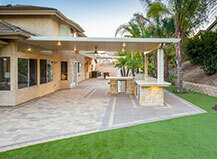 How do you get leaves and debris out of artificial turf? There are special rakes designed for turf. A leaf blower would also do the job. 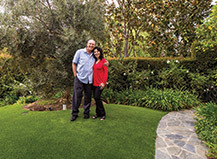 when it comes to artificial turf, there are many places around the country that set a great example as to why more homeowners are opting for this material for personal use, too.